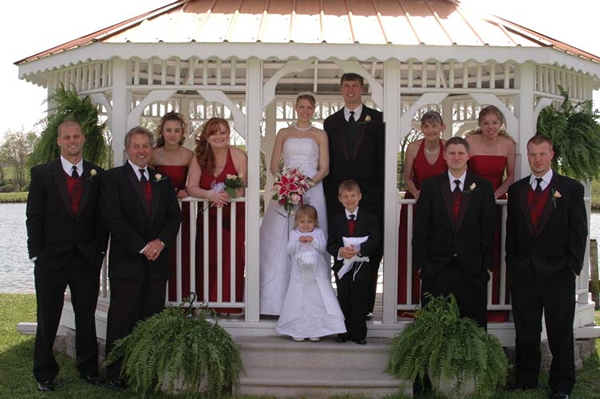 We are a family owned/operated Special Event Venue with Weddings being our specialty. 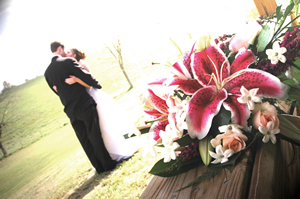 We make it a number one priority to make your wedding a day you will always cherish. We have been doing weddings for 15 years, so you know that we have the experience and know the ins and outs of what helps make everything go smoothly and worry free. We are proud of this accomplishment because it takes several years to learn what works and what doesn’t. I am sure you are aware of the new venues out there that still have to learn everything. We want you to know that we would treat your wedding as if it were our daughter’s wedding day. Our venue consists of various ceremony cites as well as a 3500 square foot reception hall. The Pavilion is heated & cooled so no matter the temperature outside you can take comfort in knowing that we will keep your guests and yourselves comfortable. We have a small lake that hosts a variety of beautiful photo opportunities. The Pavilion has wrap around porches with rocking chairs, picnic tables, fire pit to roast marshmallows by the fire at night. We have staff on sight to help you with any questions or advice you may need. The staff members are there to also make sure that your vendors know where to place their items for the wedding.